Louis E. Michelson focuses his practice on income tax planning, charitable giving and other federal, state and local taxation issues for individuals, corporations and tax-exempt organizations. Mr. Michelson advises public charities, private foundations, religious and educational organizations, and other nonprofit organizations on issues of formation, management, joint ventures, planned giving and board governance. He also has extensive experience with income tax planning for business transactions and estate planning. Mr. Michelson received his B.A. Degree, with general honors from the University of Chicago, his M.S. in Accountancy from DePaul University and his J.D. degree from UCLA School of Law. He has been admitted to practice with the U.S. Tax Court and the United States District Court, Central District of California. as Co-Chair of the Nonprofit Organizations Committee of the Business Law Section of the State Bar of California and as Chair of the Taxation Section of the Los Angeles County Bar Association. 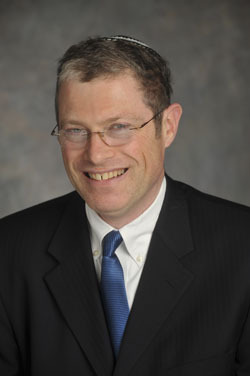 In May 2001 he participated in the Los Angeles County/California State Bar delegation to the Internal Revenue Service, Treasury and staff of the Congressional tax committees in Washington D.C. to discuss proposed guidance, as set forth in a co-authored paper, “Getting Connected: Business and Politics of Charities on the Internet.” Together with other attorneys, he assisted in reviewing and suggesting revisions to portions of the California Attorney General’s Guide to Charities. Mr. Michelson is a lecturer at UCLA Extension on tax issues for nonprofit organizations. He is also Adjunct Professor at David Nazarian College of Business and Economics California State University Northridge for a class on income taxation of trusts and estates. He has lectured for business and professional organizations and written articles on various federal and California tax topics. He is a member of the American, California, and Los Angeles County Bar Associations. Louis is AV® Peer Review Rated by Martindale-Hubbell.